Backlogging from an event on the 28th Mac 2010. 19- 28 March 2010 was the 29th Malaysian Book Fair in Kuala Lumpur(Kuala Lumpur International Book Festival). This was an annual event and the largest Book Fair event in Malaysia. On the 28th March was the event for our comic society called PEKOMIKON. Started 2 years ago, one of Malaysia comic and cartoon society called PEKOMIK organized a humble event and convention as a part of the Book Fair activities. 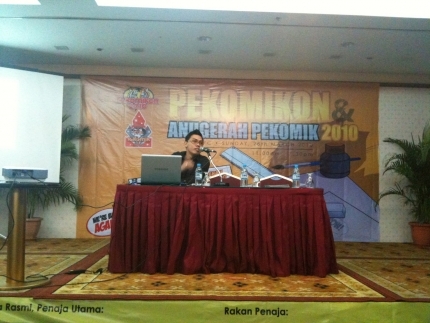 The mini convention for PEKOMIK is called PEKOMIKON. This year PEKOMIKON consists of two major events. First, the forums and the discussions sessions with local comic artists, publishers and editors. 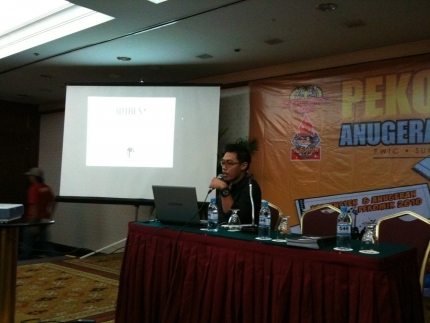 Second, the main event of the day, the PEKOMIK awards for celebrating the best Malaysian talents in comics and cartoon. 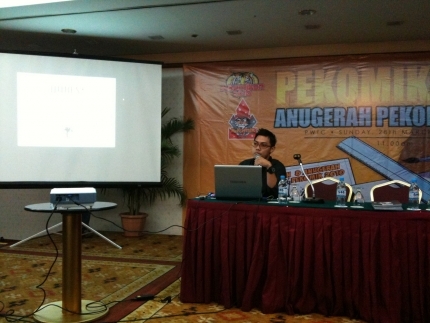 During the morning session, the president of PEKOMIK gave me a 20 minutes slot to talk about our WIRES* project. I took the opportunity to introduced the Lingua Comica 3 program and our Lingua Comica: Reloaded project WIRES*. My session started with the introduction of Lingua Comica 3 program in Kyoto and how we were introduced to each other during the residency. 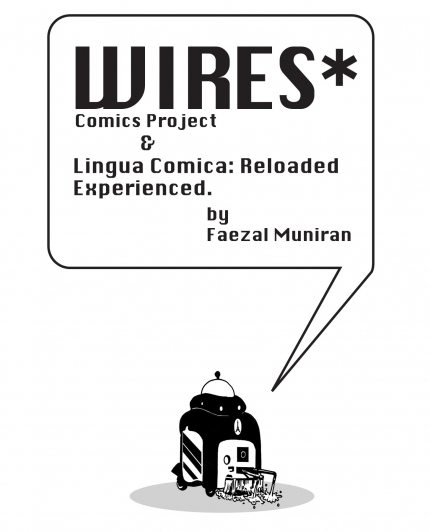 Then onward to our Lingua Comica: Reloaded WIRES* project. Although it was a brief session but I managed to highlight on the importance of using comic medium as a cultural project between Nele, PieR and myself. 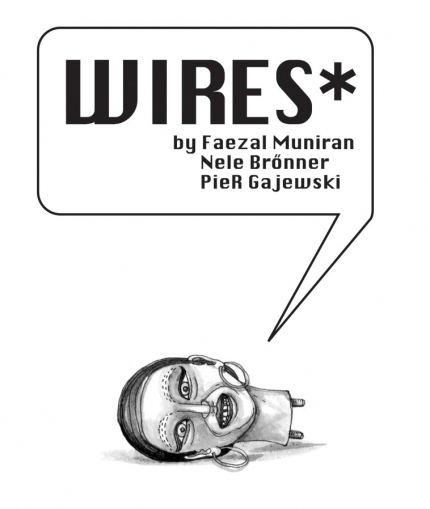 Throughout the events, I distributed free sample of my WIRES* comics to the audience as a teaser for our WIRES* books. Here are some slide presentations and pictures taken from the event with a help from my friend. The review of this event was covered by my friend and also in one of the local comic magazine GEMPAK issue 251. After the session, I was approached by one of GEMPAK writer Tan Joi Joi to do an article about Lingua Comica 3 and interview with the WIRES* artists. The Article was divided into two parts. The first part was published in the issue of GEMPAK 252 and the second one just being published in the issue 253.